Registration under the Puducherry Value Added Tax Act, 2007 is available only for the commodities viz., Petroleum crude, High speed diesel, Motor spirit (Commonly known as petrol), Natural gas, Aviation turbine fuel, Alcoholic liquor for human consumption. Step 1 : Open the Commercial Taxes Departments’ official web-site gst.puducherry.gov.in. and click on “e registration ” link button. Step 2 : In the last row, just look at the jumbled Alphanumeric Code type the same in the box given and click on “Continue” button. Step 3 : The system will generate a “Request ID”. Now, note this ID and in case you want to save the data and continue at a later stage, you have to quote this Request ID Number to retrieve the partially saved data and continue the process. 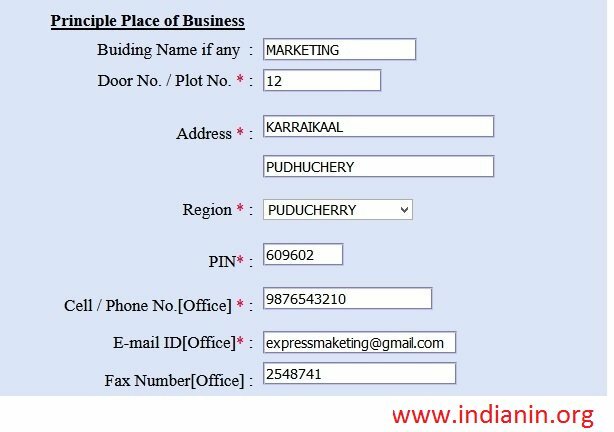 Step 4 : In this page you are requested for the details of the Branches, Godowns and Factories situated in the Union Territory of Puducherry. Step 6 : click on “Continue” button. 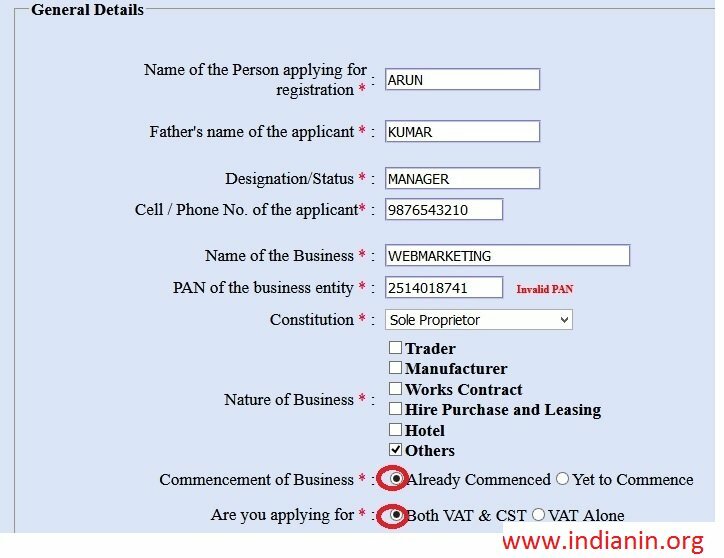 ** Form A – VAT Application Print out. ** CST Application print out. ** Form-B print in the case of a Partnership Firm. ** Form-E – Manager Form print out which has to be filled in manually. Step 1 : Enter Web Reference No. Step 2 : Enter Acknowledgment No. 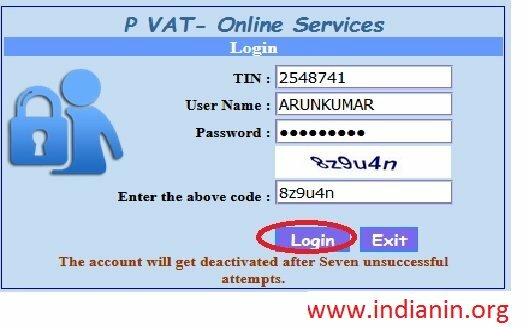 The Commercial Taxes Department has already introduced online renewal of registration under the Puducherry Value Added Tax Act, 2007 during the last financial year. Renewal for the current financial year 2012-13 can also been done in the same manner. 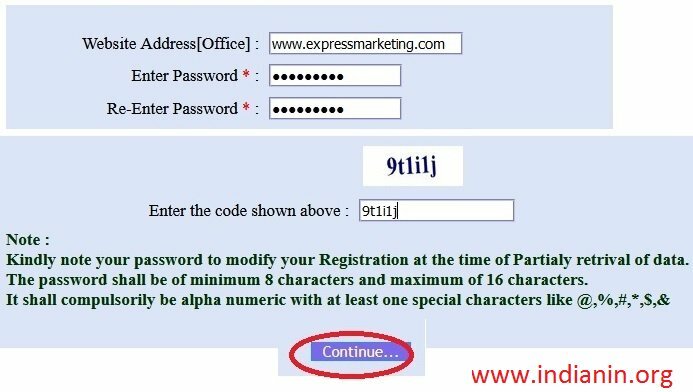 ** By default your TIN No., Name and Address will be displayed, you cannot make any correction in these Columns, except the PIN code. ** PAN No. of the dealer available in the office record will be shown here. Dealers can edit the PAN No., if required. ** Constitution of the business as per our office record is displayed. The dealer will not be able to make any corrections here. ** Phone No. 2. Mobile No. 3. Fax No. & E-mail I.D. ** Provide the name and designation of the contact person. ** Next, if you are manufacturer put a tick mark against ‘Manufacturer’ and also select the relevant category viz., Micro, Small, Medium, Large and others. Now, enter the SSI/MSI/LSI register No. and date, Date of commencement of production as per the certificate issued by the Directorate of Industries. ** Next, type the name of the goods manufactured, separated by comma for each goods. ** Next, if you are trader put a tick mark against it and select a category from Wholesaler / Retailer / Distributor / others. ** Next, select the name of the goods dealt by you from the dropdownlist. If the commodity dealt by you is not in the list, select others andthen type the name of the goods separated by comma. After selecting / typing the commodity, click button to add in the list. ** Now the data will be transferred to the Departmental Server and you can take a printout. The Competent and Authorised person has to write his name, sign by affixing the seal of the business, write the place and date, attach the cheque/DD and submit it in the respective office, there you will get a receipt. That’s all. You have renewed. Now the dealers in Puducherry Region, who are filing monthly Returns in VAT Form –I, From – J and CST Form – 1 can e-file their returns from “APRIL 2010” onwards (Return due in May 2010). ** The User ID/Name, Password has already been dispatched to all the dealers to their registered address by Post. ** E-filing of Monthly Returns’ link button : the following page will be displayed. ** The dealer has to enter their TIN number, User name and the password Communicated to them by Post and click the ‘Login’ Button. On successfully entering the TIN, User ID and Password the system will force you to change the password. ** Now the following screen will be displayed. ** Here enter all the details required and applicable according to your transaction made during relevant tax period. ** form is Annexure II it shall be saved as 34990001234-201004-ann2. ** On Successful uploading, the system will show the details in the grid. ** On the other hand one can also choose to enter the details manually one by one and the same can be viewed in grid. The screen will be displayed as above. ** Similarly, Annexure – III contains purchase turnover details. Dealer has to enter the details either directly or uploading the data using excel file asexplained above. ** Click on Login Button. Step 2 : Choose the appropriate returns and fill all the columns. In the mode of payment, select e-payment from the drop down list and click button. On the First occasion, a new screen as shown below will appear, informing the terms and conditions governing the e-payment. Click button. Now you are enrolled for the e-Payment and you can submit the return as usual and obtain Web. Ref. No. for having filed the return. Step 4 : In the new window enter the Web Ref. No. and Click button. All the required values as entered by you are displayed. Ensure the accuracy of the data for its correctness. Step 6 : On clicking submit button a message box shown above appears, asking for the final confirmation. If you click OK it takes you to the Bank’s website for making the payment. Even though the “Bank’s website screen may differ from bank to bank”, the process of payment are same for all the banks. For example, here we assumed that the dealer selected the INDIAN BANK for making payment; the following page will be displayed from the Bank’s website. Step 2 : After clicking submit button, it will ask to confirm the payment. By clicking button, you are authorising the Bank to debit your account and credit the amount to the CTD account towards payment of tax and other dues. Step 4 : After noting the Transaction Reference No., the dealer can click the button to go back from the Bank’s website to the CTD’s web site where the user had started the e-Payment Transaction. 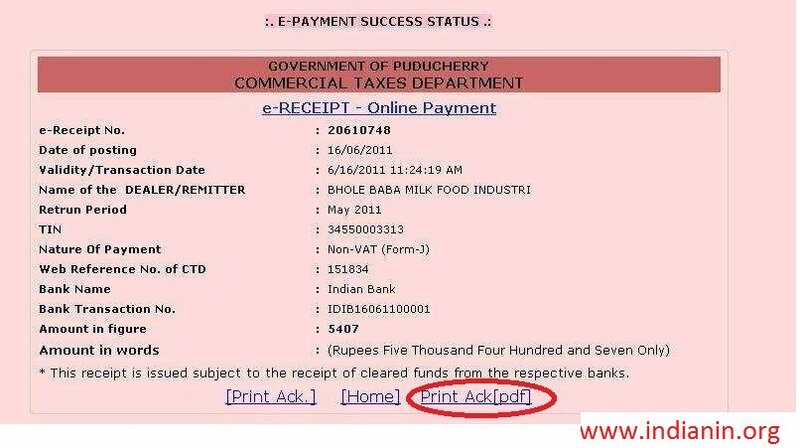 Step 5 : Now, the dealer can see the following screen depicting e-receipt for online payment. The same can be stored in their computer also by clicking “Print Ack [pdf]” , they can print the e-receipt for the future reference in pdf format.